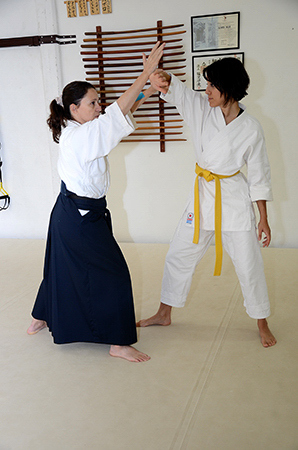 Some time ago only men utilized martial arts as a way to find balance in order to face the daily challenges of modern life, work, study, stress, competition, and etcetera. 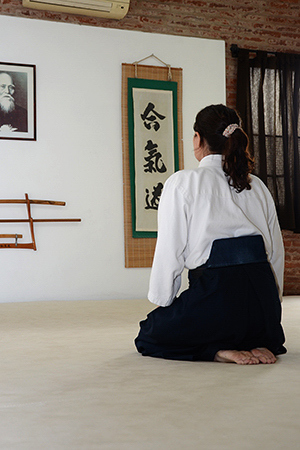 In the history of Japan, contrary of what you may think, the woman always had an important and fundamental role because inside the clan they were also trained from their infancy from six years old. When men left the castle and the village to go to war the safety of these places fell on the hands of women. 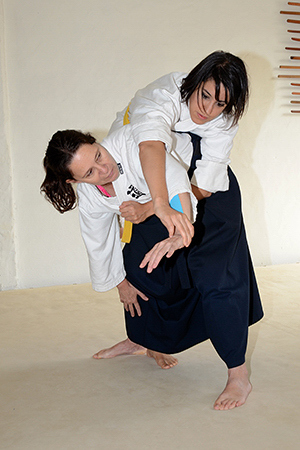 Therefore we do not have think in preconception, Aikido is not just for men, and women can and must practice it. 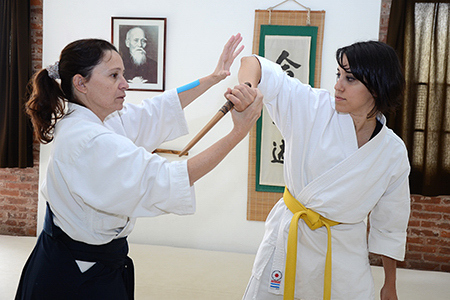 They stand out for their easiness in apprenticeship, mainly due to the concept of not using force to dominate the adversary; this principle is harder to understand by men. 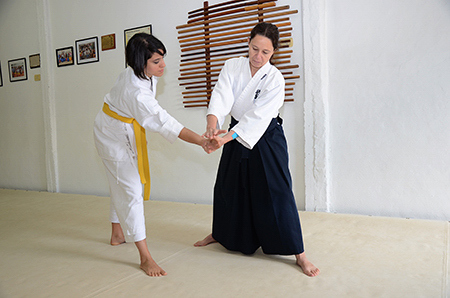 They benefit physically, technically, and spiritually when they practice Aikido. 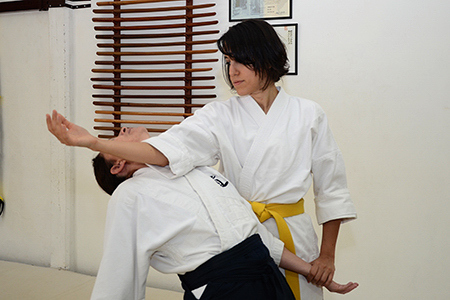 Aikido gives them security, capacity of defense, control and determination, does not make them masculine, on the contrary it confers equilibrium and elegance; it develops the correct physical posture, and increases psychomotor coordination. 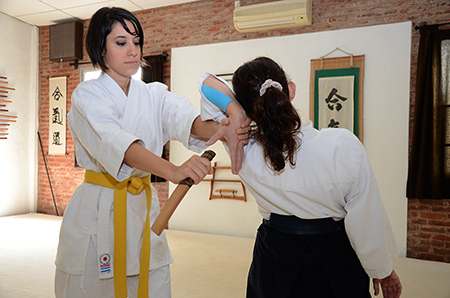 The technique, the movements and the respiratory exercises model the body and give aid to the adjustment of several systems, such as the cardiovascular, the respiratory, the bone tissue, all of this possible through various moments of practice. 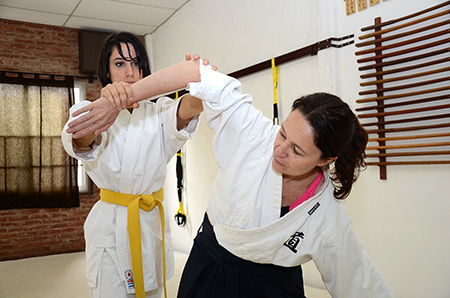 Moreover, helps them correct lumbar posture and increases the flexibility of all articulations, increasing gradually the level of confidence, making it possible to develop unimagined skills providing them with a better quality of life to age more healthy. 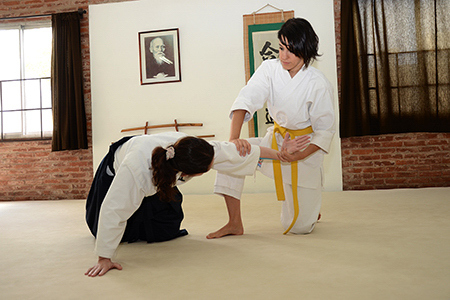 Welcome, Aikido is for everyone. 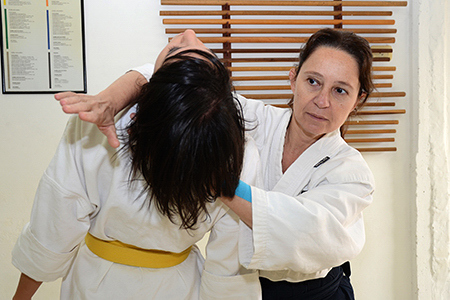 Thanks to Florencia Ansaldo and Paola de Luca Sensei.